Students of Faculty of Design and Innovation attended training on 3D Printing using FDM Technology. Fused Deposition Modelling (FDM) is the technique of product development by the deposition of extruded material in the form of fused matter. The molten material is deposited layer by layer in steps to complete the model.3D Printing is the concept of faster and reliable product design and development using the CAD models imported through various Design Platforms. The technology promises faster development of product for aesthetic and fitment verifications before actual manufacturing of the Molds & Dies. Faculty of Film, Tv & Media Organised a workshop on Music Video Production, In which Students learned about the aesthetics of Music Video Production. 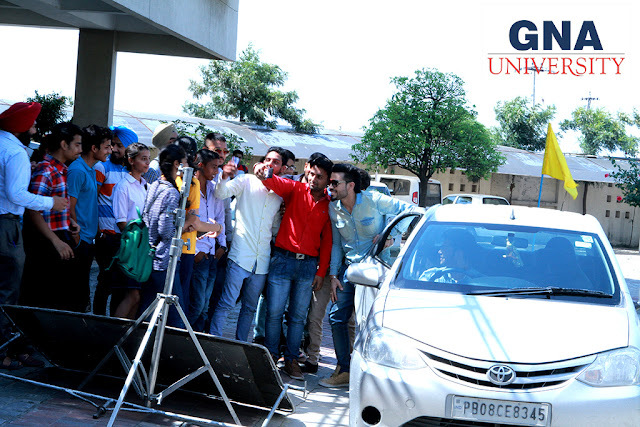 Students of Faculty of Film, Tv & Media made a Music Video of Famous Singer Diljan's latest Punjabi track.